Regular monitoring of critical IT data comes handy when trying to spot change trend anomalies, but if you’re not in the office to see the reports, you won’t be able to prevent a security breach in progress. There is obviously a clear need for an alerting system which automatically identifies present threats and actively notifies IT managers of them. LepideAuditor provides an answer to this through its real-time and threshold-based alert mechanism. Paired with our LepideAuditor Mobile App, anyone with a smartphone or tablet can get a birds-eye view of the whole IT environment delivered to their pocket. The App works with Apple iOS 6.1 or later & Android 4.0 or later. You can receive push-notifications for real-time or threshold-based alerts and share them on multiple platforms; such as emails, social media, notes and more. 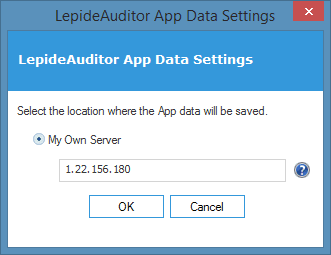 If you’re lucky enough to already have deployed LepideAuditor, I’m going to show you how to install and configure your free LepideAuditor Mobile App for your smartphone and/or tablet. 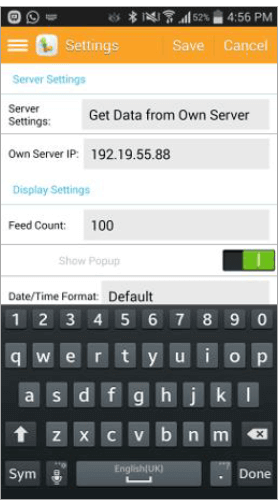 To send and receive live feeds on a smartphone or a tablet, you’ll need to install App Server. When you download LepideAuditor from our Website; look for a zip file that contains multiple executable files. From these, you have to run the installer file of “LepideAuditor App Server.” Please make sure to install it on a computer that is connected to the Internet directly and has a Public IP Address. Also, ensure that you allow Port 1051 for all incoming and outgoing connections in the Windows Firewall and other security programs on the computer where you have installed LepideAuditor App Server. Once you have installed the App Server on your computer, you are now required to configure it. For configuration, you have to create an App Account in the LepideAuditor Console. In the LepideAuditor Console, go to ‘Settings’ and select Message Delivery Settings from the list. Click “+” to the right to access the menu. You will see three sub-options displayed in front of you – Add Email Account, Add App Account and Add Alert Profile. Click ‘Add App Account’ option and enter the login credentials for using the Mobile App. Refer the box labeled as Mobile App Id. Kindly note it down for further use. Click ‘OK’ to add this App Account. It returns you to Message Delivery Settings page with added App Account. LepideAuditor tries to connect to your computer and checks the communication on Port 1051. If it communicates successfully, the IP Address will be added; if not, you will receiv an error. Here, you can add as many App Accounts and get instant notifications of alerts straight to your smartphones and tablets. 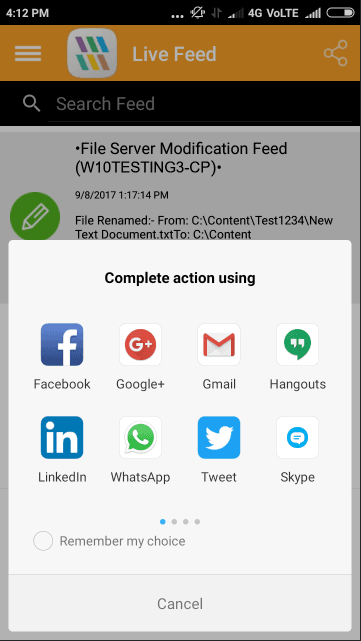 However, all these notifications are delivered through the LepideAuditor App Server installed on your computer (which is connected to the Internet). If the internet drops, you may not receive the alerts on your devices. Go to “Settings” and select “Get Data from own sever” in “Server Settings”. In “Own Server IP”, enter the public address of the computer, where you have installed LepideAuditor App Server. Now, the App tries to make the connection with the computer, over Port 1051, where you have installed LepideAuditor App Server. If the connection is successful, the IP Address is added, otherwise you will receive an error message. In LepideAuditor App, go to Settings and click ‘+’ button to add login credentials for using the App. A new screen appears where you have to add the Application ID. 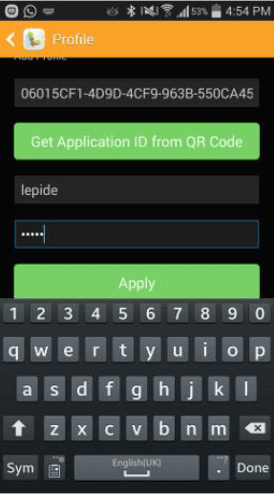 You can tap “Get Application ID from QR Code” to scan the QR Code, which is displayed in created “App Profile Account” in “Message Delivery Settings” in main console of LepideAuditor. 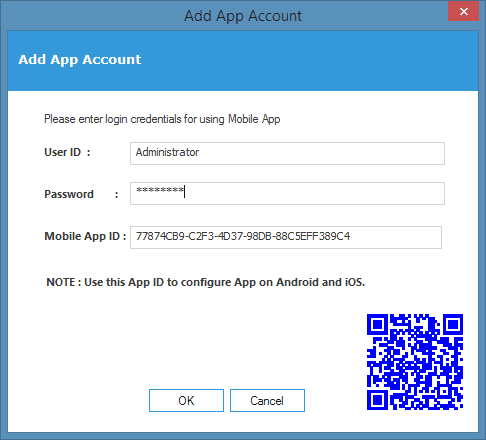 Now, enter the ‘User ID and Password’ required to create an access profile in the mobile application. To get real-time or threshold alerts for auditing or health-monitoring on your handheld device, you are first required to install LepideAuditor on your computer and add the relevant server components. After installing and configuring the solution, you can create alerts and send them to the Mobile App. Follow the below-listed steps to create the alerts. 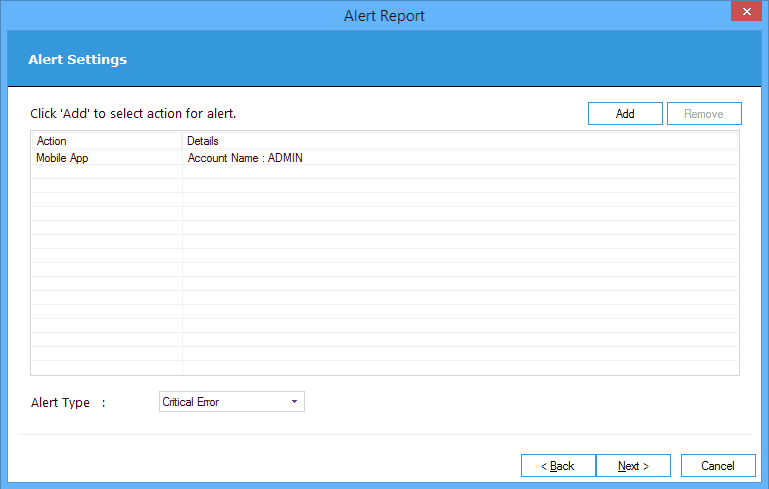 In the LepideAuditor console, go to “Alerts” Tab. Here, you can switch to the “Auditing Alerts” tab to create alerts on the auditing events. Whereas you can switch to the “Health Monitoring tab to create alerts on health monitoring events. In any tab, “Auditing Alerts” or “Health Monitoring Alerts”, go to “Alert Report Settings” and click ‘+’ icon to create an alert. NOTE: You can go to “Health Monitoring” tab to create alerts for health monitoring of Active Directory, Exchange Server, and SQL Server. 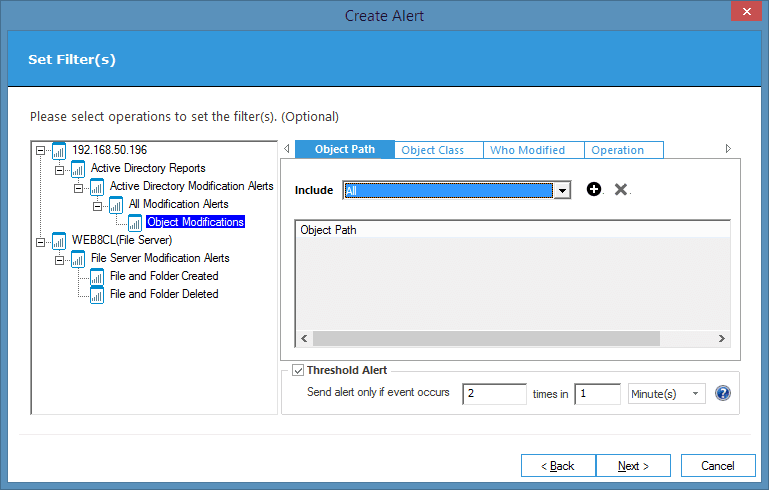 Select the events in different components for which you want to create alerts. There are more than 300 events for which you can create an alert. “Set Filters” page opens up. Here, you can select the columns to set filters. Here, you can add the filters to track only a particular operation or modification. On the Set Filter’s page, there is a “+” button. When you click on it, you will be directed to an “Add Value” page. Here, you can add values manually, import from CSV or import from Backup. To get threshold alerts, you need to check “Threshold Alert” box and enter the values. Threshold alerts are received only after reaching the user-defined threshold limit. For example, a user have selected an event to occur 5 times in 10 minutes. Then only one alert will be generated and sent when the selected event is occurred 5 times in 10 minutes, else no alert will be sent. NOTE: We have not added any filter or threshold limit. Alert Settings page opens up. Click “Add” to select an action for the alert. Add Alert Action page opens up. 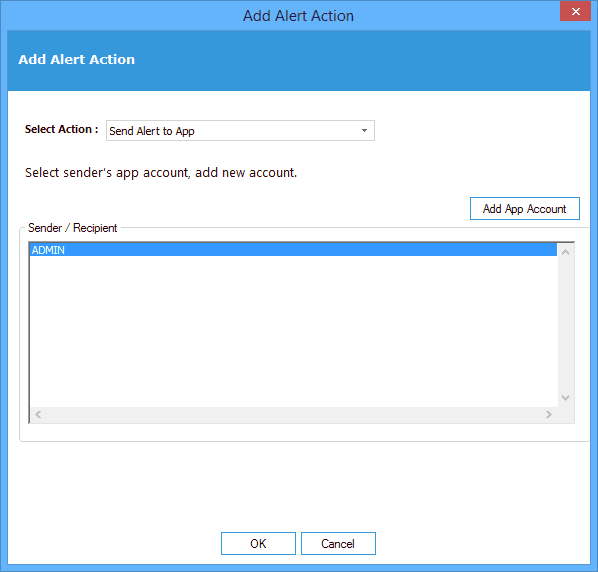 Select “Send Alert to App” and add the User ID and Password. Figure 6: Add Alert Action. Select an ‘App Account’ and click ‘OK.’ It takes you back to “Alert Settings” page. Select the type of alert, and click “Next” to proceed. Enter the name of alert and click “Finish” to close the wizard. You have successfully created an alert. 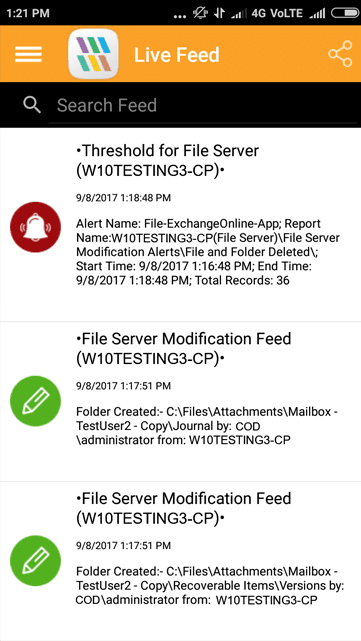 After you have configured both the LepideAuditor App and LepideAuditor Console, and have created the alerts, you will start receiving both real-time and threshold alerts on your LepideAuditor Mobile App. In the above illustration, refer the events recorded in a File Server. The first one highlights a threshold alert for a File and Folder deleted in a File Server. The other two correspond to real-time alerts for folders created in a File Server. To share the content of the alert, just tap on your device and hold the alert. Instantly, you will have “Share and Copy” options displayed on the screen. You can select where you want to share the content. Our LepideAuditor Mobile App provides a simple means of tracking changes made to the IT environment while delivering alerts directly on smartphones and tablets. It gives IT teams the insight they need, when they need it and where they need it! Download our LepideAuditor Mobile App start tracking changes on the go! If you’ve not tried the 15-day free trial of LepideAuditor yet, click here to get started. What have you got to lose?